Looking for a stair lift for you or your loved one? Think there is only one type of stair lift? Think your home or stair case will not support? There are many models of stair lifts. Some stair lift models are bigger than others. Others are smaller and can accommodate narrower staircases. Take the Indy Pinnacle Stair Lift. It’s narrow while also remaining highly efficient. The Indy Pinnacle Stair Lift is the narrowest stair lift on the market on the market, extending just eleven inches from the wall. This stair lift also features an adjustable seat for height. It swivels at the upper landing for safe exits and entries. On the other side, there is the Indy XL Stair Lift. This stair lift has the heaviest carrying capacity in the stair lift industry. This stair lift can support up to 500 lbs. It has a seat width of 25 inches. This stair lift is reinforced and is made with heavy-duty materials to support any body type or size. 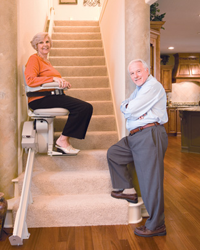 The Indy Curve Stair Lift is a customizable stair lift. It is designed to work on curved stair lifts. It supports up to 400 lbs. 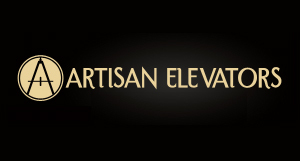 Choose the stair lift that best fits your needs or the needs of a loved one.